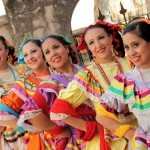 Arizona natives, Philip and Maria León are long time educators and co-founders of Primavera Folklorico Dance Company. The Title XII Bilingual Education Act was passed in 1968, which boosted an interest and growth in folklorico dance in the U. S. A. Philip and Maria were active at the forefront, learning and performing Mexican dance during the early 70’s. PRIMAVERA was formed in 1975 as an outreach to those who were interested in learning Mexican dance and as a vehicle for youths and adults to continue learning and performing cultural material after graduation. Philip had been active with Mesa Community College’s folklorico group, Aztlan, and Maria was active with Arizona State University’s, Hijos del Sol (Estudiantil). Hundreds of children, youths and adults have participated in PRIMAVERA classes, shows and community activities. Many PRIMAVERA students have grown up to be successful in their academic and career endeavors. Many students credit their discipline and love of learning to the focus developed while they participated in folklorico dance. Over the years, PRIMAVERA, has collaborated with projects funded by the Arizona Commission on the Arts to promote the value of the historical presence and contributions made by Mexican Americans in the Phoenix area. In 2005, the Commission funded the musical composition, “Valley of the Sun,” composed by Joseph Curiale which included PRIMAVERA as representatives of the Mexican culture with Maria Leon choreographing their original number. Other material choreographed by Maria has been presented with the Phoenix Symphony (Elmer Bernstein, The Magnificent Seven), Mesa Symphony (Ravel’s Bolero), and in Kuala Lumpur, as part of a cultural exchange highlighting the American Southwest sponsored by department store, Metrojaya. In the fall of 2011, PRIMAVERA had the honor of presenting an original choreography based on Diego Rivera’s epic mural “Dream of a Sunday Afternoon in Alameda Park.” Maria Leon compiled period music and integrated popular dance typical of the era to bring the mural to life. The piece was presented to the community as part of the Cultural Coalition and funded by CALA, Celebracion Artistica de las Americas. 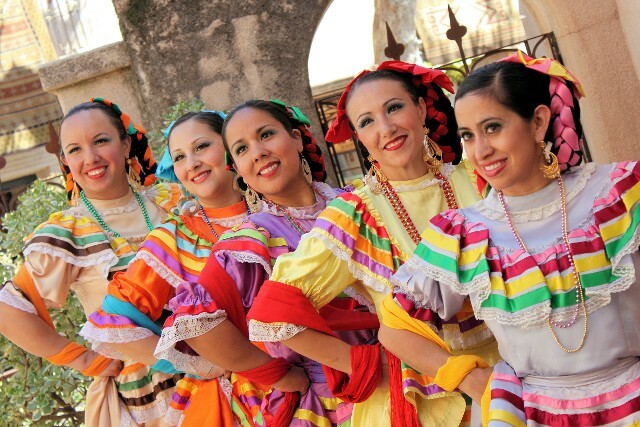 Additional Audio: Maria describes the different influences that have shaped folklorico. Additional Audio: Maria shares background history of folklorico dance, in relation to the Mexican Revolution.